Zoe Walker commutes into London like thousands of people daily. Using the same route and the same time daily, not aware of anything but the journey she’s taking. Until one day she finds an advert in the Metro with her face on it. Somewhat in disbelief, her family think its just a likeness, but Zoe isn’t convinced and when she starts spotting familiar faces in the same ad on different days she tries to alert the authorities, but will they take her seriously? This absolutely chilling psychological crime thriller takes full advantage of that little paranoid voice all of us have, that we keep mostly suppressed. Reminiscent of “The Book of You” by Claire Kendall, but on a larger scale, Clare Mackintosh enthralls once again in her second novel. I particularly enjoyed reading PC Kelly Swift and her side plot was thought provoking. The crime thriller aspect of the book kept me interested as DI Nick Rampello and Kelly had an interesting partnership. There were a couple of minor details in the book that seemed contradictory, fortunately not major plot points, but still details that needed more attention. Firstly, the author laboured the existence of an electric shower in Zoe Walker’s bathroom and then told us the family had used all the hot water when in fact electric showers heat the water as needed and are not dependent on a heated hot water tank. Secondly, whilst trying to access the internet from a Samsung tablet, Zoe uses Safari, which is not possible as Safari is only on Apple devices. These two basic errors seemed strange enough to me to warrant a mention in my review after the deliberate mention of electric showers and Samsung devices by the author. However, minor discrepancies aside, this thriller gave just the right balance of intrigue and goosebumps to keep me reading and interested. Definitely a must-read for those who enjoyed I Let You Go from the same author and The Book of You by Claire Kendall. 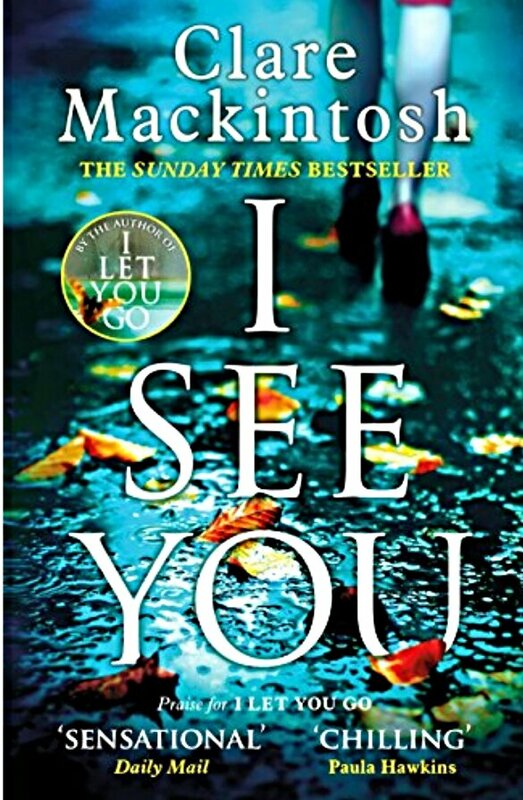 I See You is available for pre-order and will be published on 28 July 2016. Such a shame when books let themselves down like this. It happens quite a lot in indie publishing – but you’d expect an editor at Sphere to have caught the matters you mention. It doesn’t destroy the reading experience, but it does undermine it. I agree it was surprising.